Each year during the Australian winter rugby league season, P&O Australia offers a selection of State Of Origin cruises. These cruises are hugely popular as they allow passengers to enjoy a relaxing cruise holiday within Australia, and also view the annual New South Wales vs Queensland clash. With NSW winning the 2018 series, the 2019 series is sure to be one not to miss. A rugby league cruise is the ultimate holiday for any rugby league fan. P&O make getting to game and enjoying yourself easy, with tickets, transfers to the game and accommodation all sorted. These are hugely popular cruises, with several NRL Legends onboard each cruise to interact and chat with. Sorry. There are no 2019 State Of Origin cruises currently available. 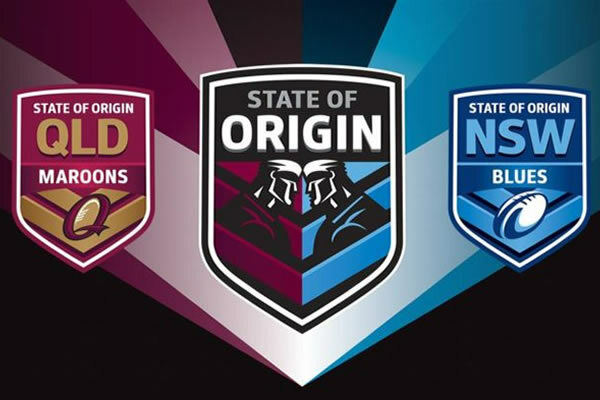 The 2019 State Of Origin schedule has now been officially released by the NRL. An interesting development for this years series is that there will be a game hosted in Western Australia for the first time ever. The venue for this match will be Perth’s Optus Stadium where we will see it host Game Two on Sunday, June 23. This match is scheduled to be played during the standalone representative weekend.